Le Petit Livre de Chansons contains 12 simple French songs set to familiar tunes and is aimed at children from 3 - 11 years. Appropriate for use throughout Key Stage 1 and 2 (ages 4 - 11), these are also perfect for preschool children and can be used to reinforce language already learned or to introduce new vocabulary. Each song is set to a familiar tune, allowing pupils to focus on the new vocabulary rather than the music. When being used with older children who are able to read words, then the photocopiable versions of the songs will aid their literacy skills. The included CD can also be used on a computer where you can use Powerpoint to display the lyrics on-screen as the song is sung, or access PDFs of the lyrics. 8. Le bonhomme de neige Clothes We wish you a merry Christmas! 9. Joyeux Noël Christmas We wish you a merry Christmas! 10. Le bébé est né Christmas Oh Christmas tree! 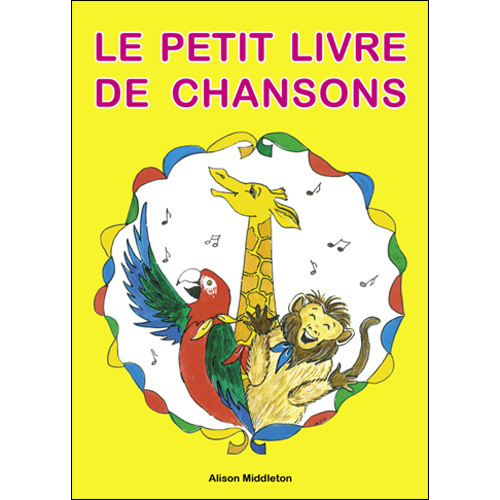 Le Petit Livre de Chansons is suitable for French beginners. 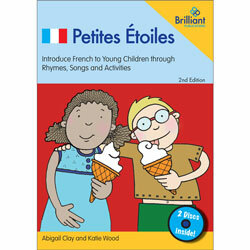 It is aimed at ages 3 - 11 (Early Years, Key Stage 1 and Key Stage 2). So thrilled with this purchase! I'm super happy with the songs and songbook with this CD. The tunes are catchy, and mostly familiar melodies, and the lyrics are easy. 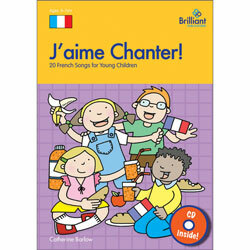 I'm using it with my baby, and I know it will help me bring her up speaking French!